Bank at One Source Federal Credit Union | El Paso TX, Las Cruces NM | Stop the Data Breaches! At One Source FCU, we believe protecting the privacy and security of our members' accounts is our most important responsibility. 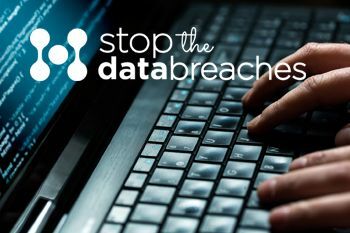 When we discover a data breach at retailers like Target or Home Depot, we take action immediately to change account numbers and issue new credit and debit cards for members who were affected. And, in many cases, we can't even tell you which merchant caused the breach even though we are working to protect your account from the fraud. The possibility of having your personal financial data stolen is enough of a burden. You shouldn't have to worry about who is going to clean up the mess and pay the bills for the fraud. In 2014, there were over 750 data security breaches and over 85 million data records exposed. lf you're like most people, you probably assume that merchants are responsible since their security failures caused the theft of your data. Unfortunately, that's not how it works. Credit unions like One Source FCU bear the brunt of these costs after a merchant data breach, even though we (and members like you) had nothing to do with it. Because we are not-for-profit cooperatives owned by our members, you ultimately foot the bill. After you've been victimized by having your financial data stolen, you shouldn't have to pick up the tab to clean up the mess. Right now, merchants can shift most of the costs of their data breaches to others. So there is no incentive for them to spend the time and money to increase their data security. That's wrong for consumers and it's bad for our economy. That's why One Source FCU and other credit unions across the country are working together to improve protections for consumers who are victims of merchant data breaches. Overall S. 961 and H. R. 2205 represent the best attempt so far at legislation to stop merchant data breaches. Please consider lending your voice to this important effort. Learn more about the problem and send e-mail to your U.S. Representative and U.S. Senators. Tell them you want them to take action to protect consumers like you.